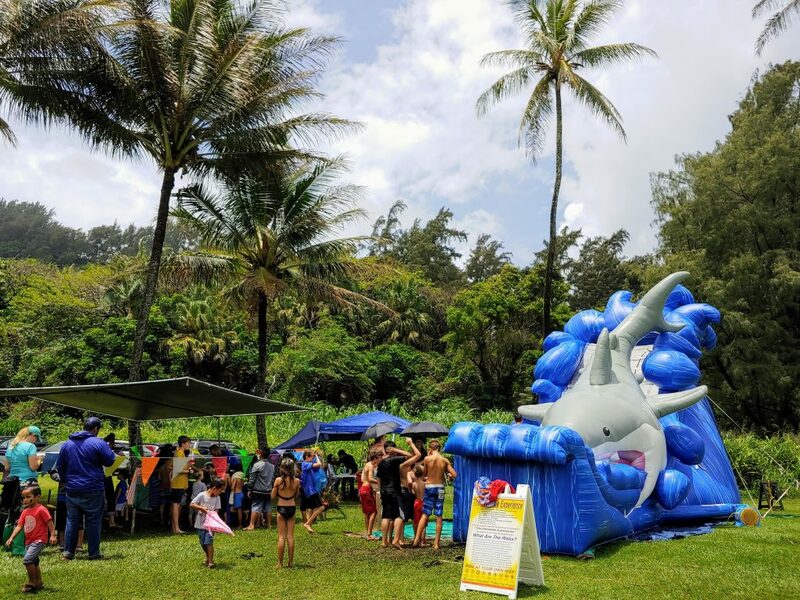 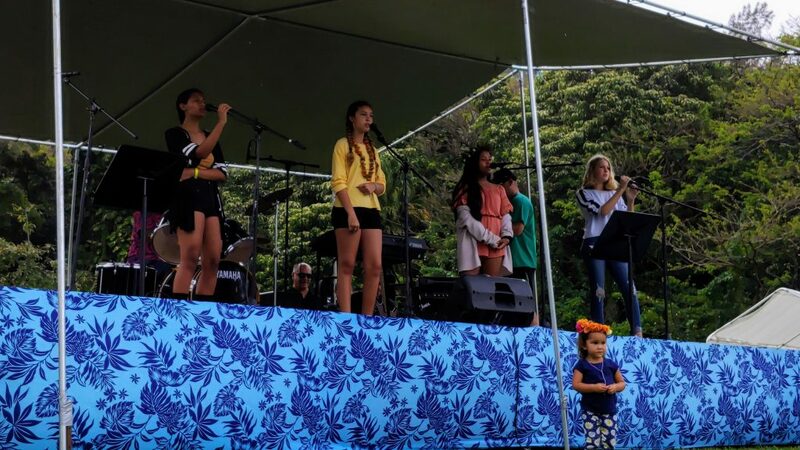 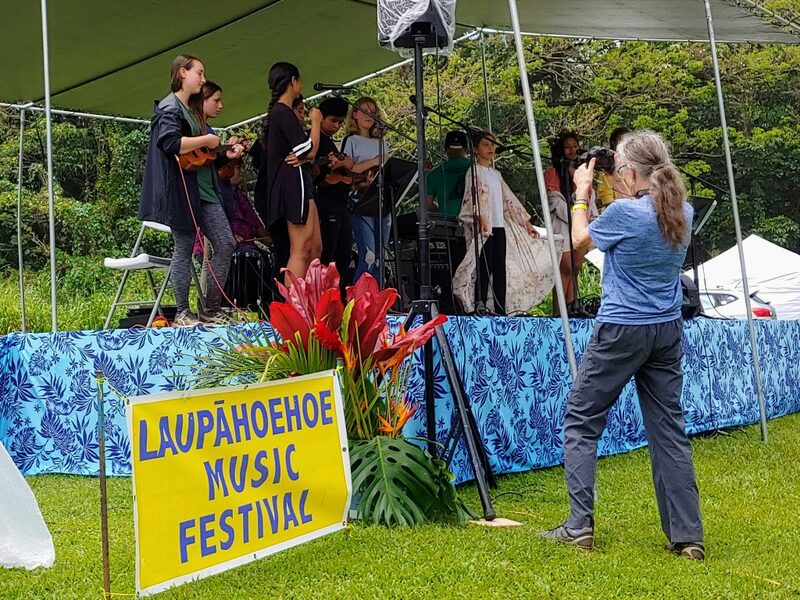 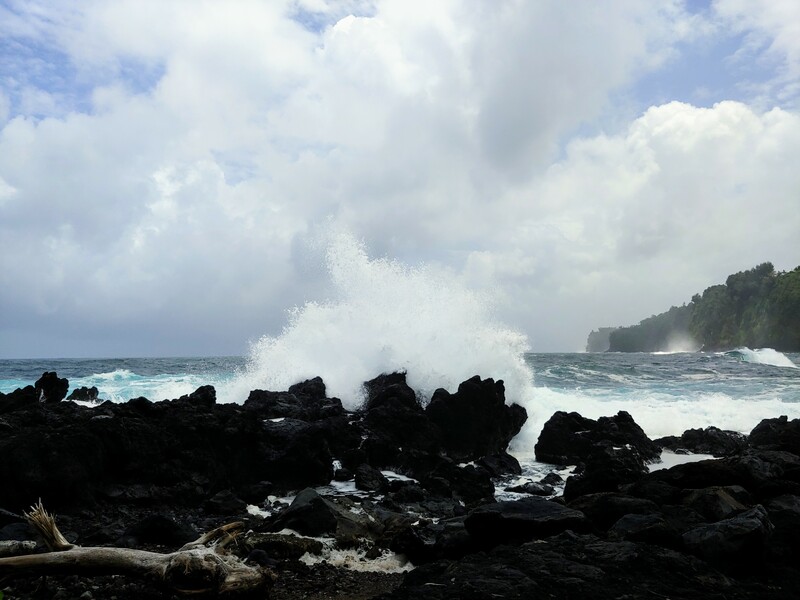 Despite the inclement weather, the Laupāhoehoe Community Public Charter School held its 14th Annual Laupāhoehoe Music Festival at the Laupāhoehoe Point Beach Park, Saturday, April 13, 2019. 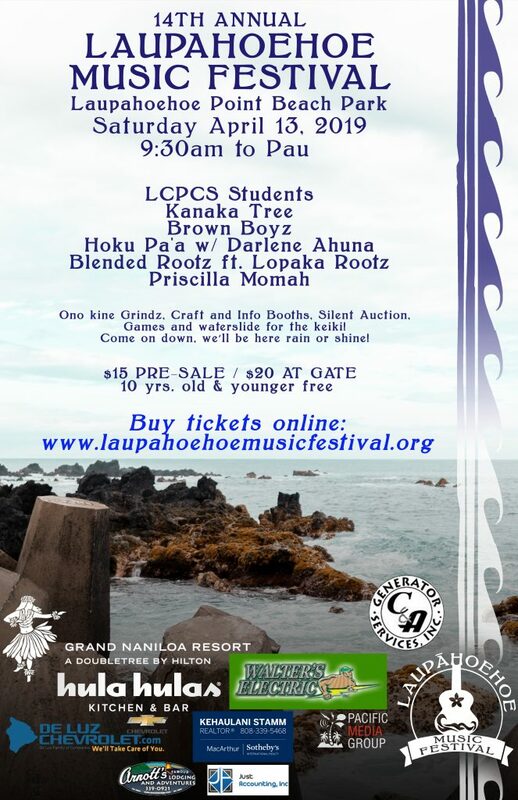 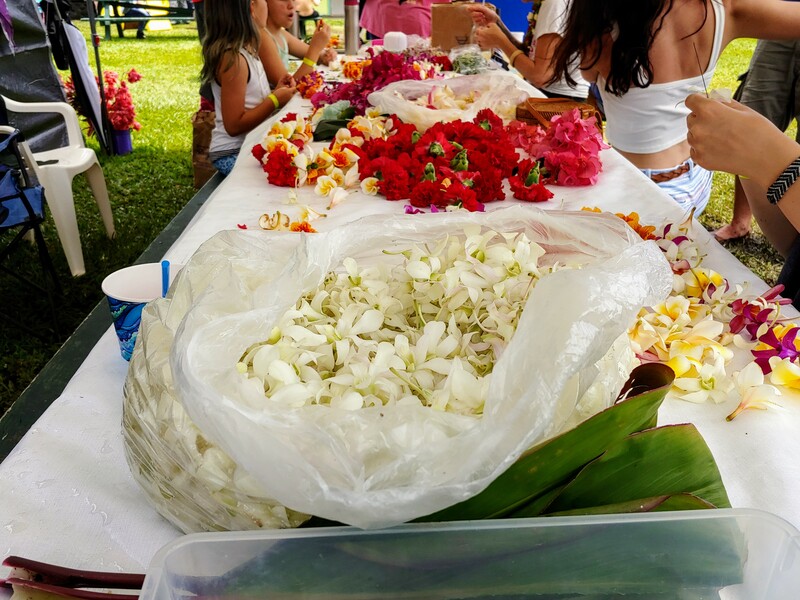 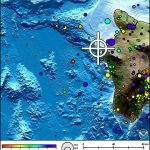 The annual music festival is a Hawaiian music and cultural event presented by Laupāhoehoe Community Public Charter School (LCPCS). 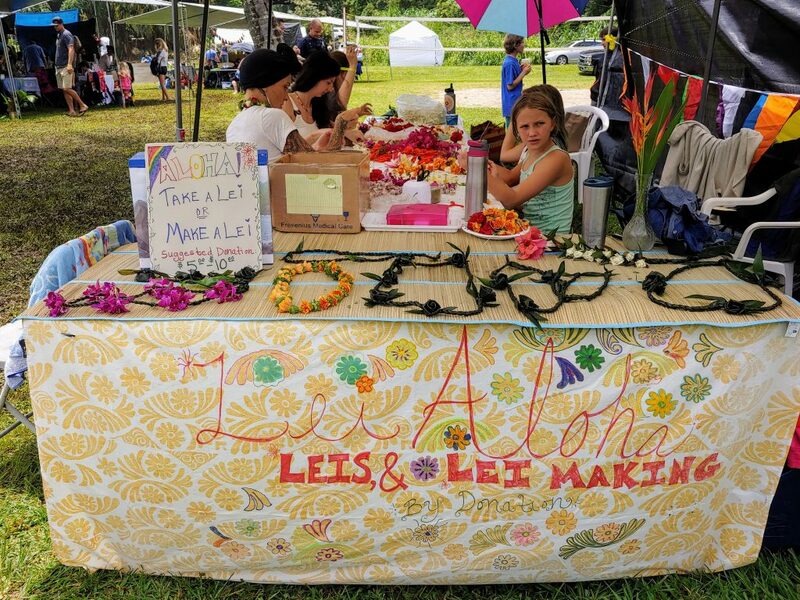 Music, hula, crafters, game booths, a silent auction, food, beverages and shave ice offered something for everyone. 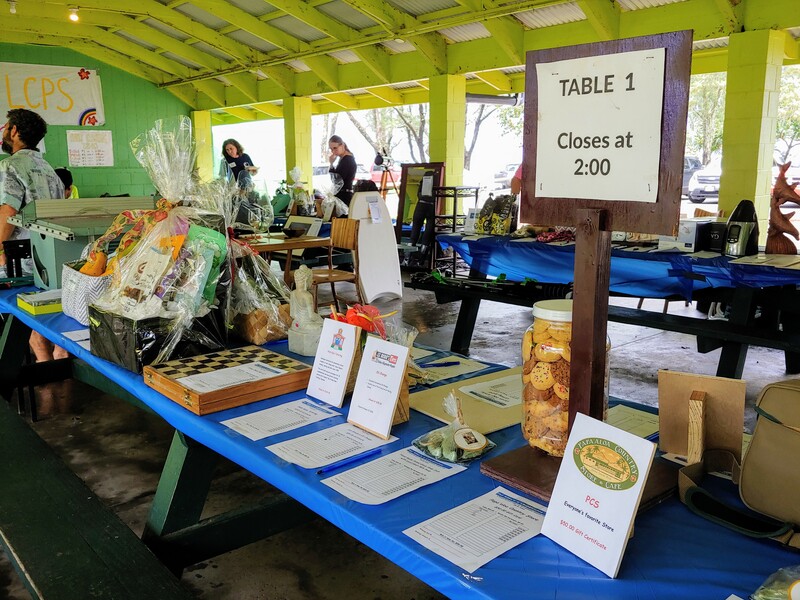 Hui Kako‘o O Laupāhoehoe, 501(c)(3) presented the fifth annual silent auction to benefit the students of Laupāhoehoe Community Public Charter School. 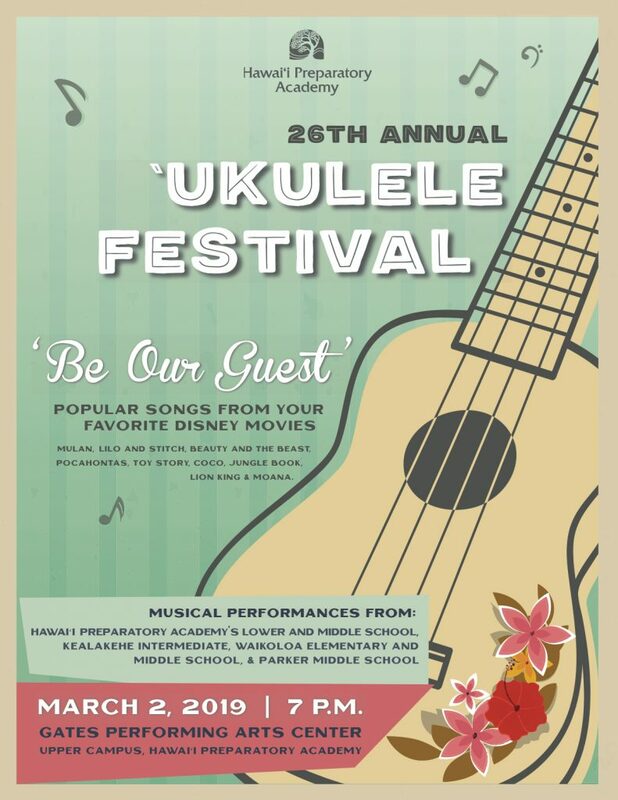 All event proceeds support music programs at LCPCS. 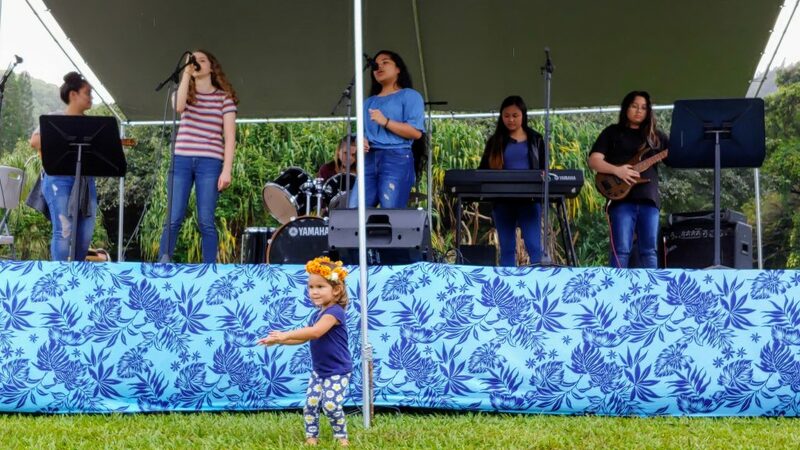 Laupāhoehoe Community Public Charter School serves Kindergarten through eighth-grade students and facilitates K-8 virtual learners through their Kaupe‘a program. 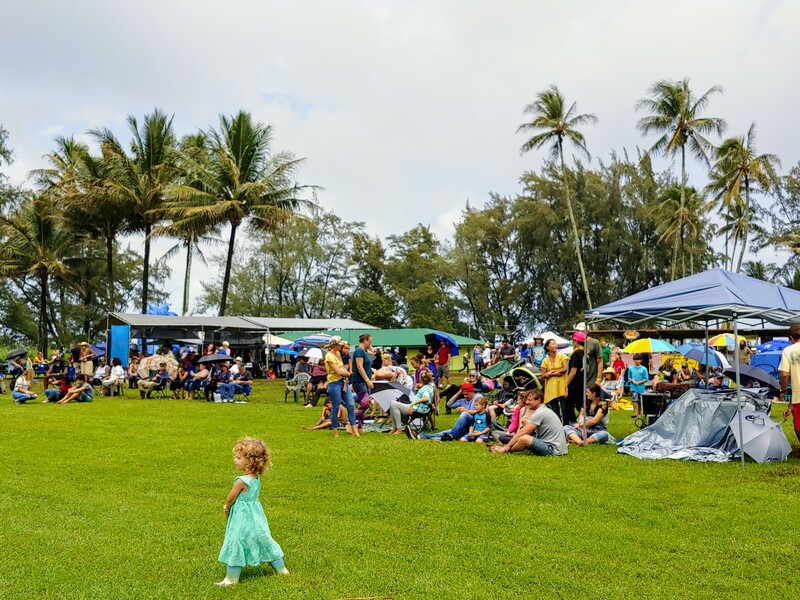 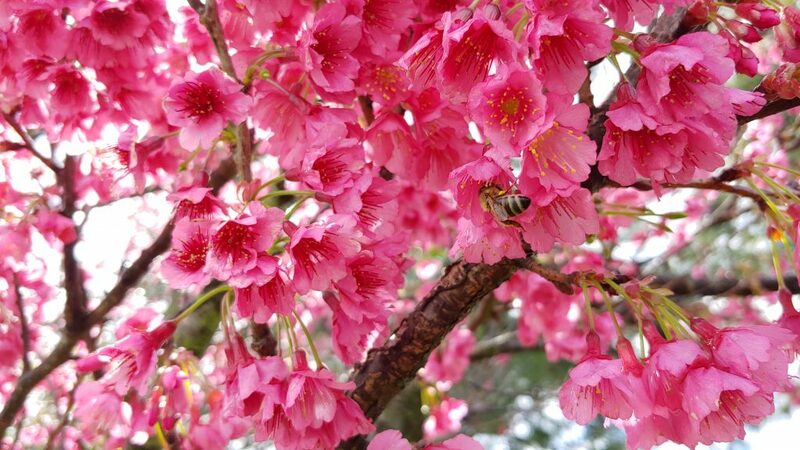 To find out more about the festival, go online.